This morning we were discussing whether we should head out anywhere for some birding since it wasn't raining yet. Before we had decided on a location, Chris noticed that our resident lake population of ducks had increased. 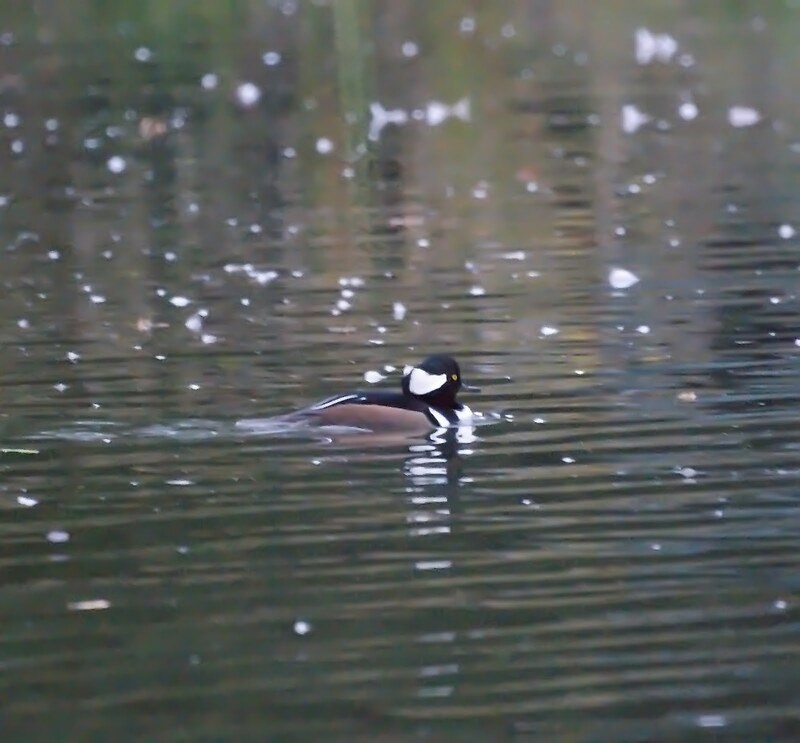 Upon picking up the binoculars, she exclaimed to Mike, "We have wood ducks, we have wood ducks, we have wood ducks." So, we stayed home and crept outside and hid behind our camouflage and watched them. We counted two males and three females. A female mallard was trying to hang out with them also; probably thinking these males are more handsome than the males in her bunch. 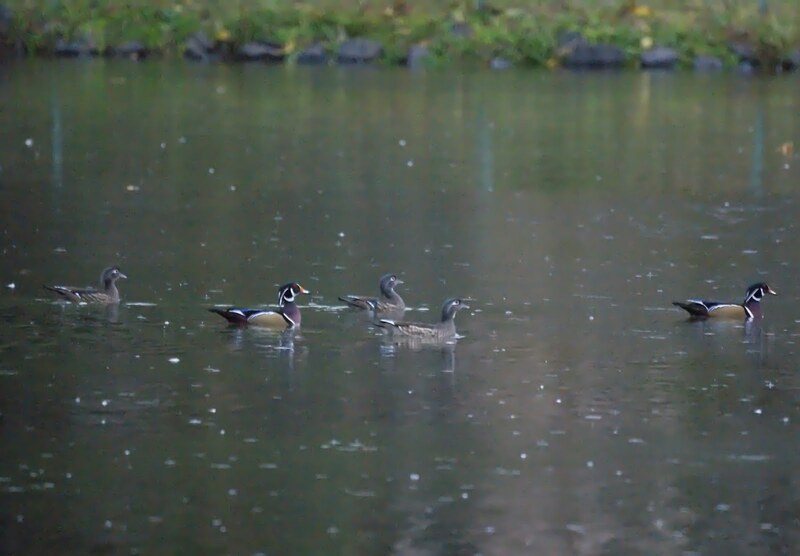 We saw a small duck fly overhead and assumed it was a third male wood duck to even out the group. We sat out for about 30 to 40 minutes, and the small duck landed in the water near us. 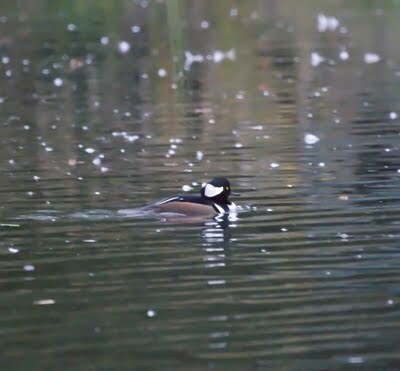 To our surprise, it was a male hooded merganser. It's a great day on Lake Nelson when two of our favorite fancy ducks arrive on the same day. 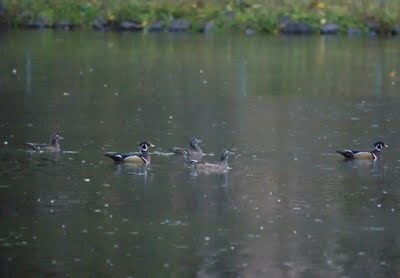 We have a saying that the worst weather brings the best ducks and it turned out to be true again.